I’m excited to announce that our new WordPress plugin, WooCommerce Product Table, is now available. It provides a WooCommerce product table view to display your products in an interactive list or table. Grid layouts are an increasingly popular way to list products and now you can do it too! We’ve developed this plugin in response to demand from uses of our Post Table Pro plugin. They have enjoyed using the general table view to display products, but wanted WooCommerce-specific features integrated into the table such as ‘Add to Cart’ buttons. What is a WooCommerce product table view? WooCommerce is the world’s leading e-commerce platform, according to the latest e-commerce usage stats for 2017. Most WooCommerce websites have standard category layouts which list products in a grid format. There’s usually 3 or 4 products per row with large images, the title, price and except underneath, and then an Add to Cart button. This takes up a lot of space. Lots of WooCommerce store owners need a more compact product table view. A table lets them list more product per page so that customers can easily choose products and add to the cart, without scrolling through many pages. The WooCommerce Product Table plugin provides a table view to list your products. How flexible is the WooCommerce product table? The product table view is incredibly flexible. You create your WooCommerce product table by adding a shortcode to any page or post. The default shortcode works well and you can use the knowledge base to configure it to suit your exact needs. You can choose which columns display in the table. Nearly all the data that is stored about WooCommerce products can be used as a column in the table view. This includes title, short description, long description, price, tags, product categories, product featured image, etc. You can even add a quantity selector and Add to Cart button to the table view. It’s also possible to display extra product data such as custom fields and taxonomies. You can display all your products in the WooCommerce table view, or display products from a specific category only. There are links to the product titles so that people can click through to the single product page and buy from there. Or you can disable these links and let people add to the cart straight from the table (or both!). You can control how the product table view behaves, such as ordering the products by any column when it first loads. You can choose how many rows are displayed per page. Customers can click on a column header to sort by that column. They can use the search box or click on a product category to filter the table. You can add filter dropdowns above the table, making it easy for customers to narrow the list of products and find what they need. Read the knowledge base for a full list of everything you can do with the WooCommerce Protect Table View plugin. Who is the plugin for? WooCommerce Product Table is for any website owner who wants a more compact way to display WooCommerce products. We’ve been amazed by how many users of our existing Posts Table Pro plugin have used it to create a WooCommerce table view. They use it for many different purposes, and the new dedicated WooCommerce version makes it suitable for many more use cases. A lot of WooCommerce websites have a trade store, or a hidden trade area alongside a public online store. Wholesale stores tend to be less visual and more information-based than public online shops, so a table view is perfect. You can use WooCommerce Product Table to list all your trade products. Your distributors can scroll down the list, add multiple products to the cart and make a purchase without having to click through to the individual product pages. This provides a much more functional way of shopping online which is perfect for trade stores. Check out our WooCommerce Password Protected Categories plugin. This lets you create a WooCommerce category for your wholesale or trade distributors and password protect it. We’ve even created a tutorial on How to Create a WooCommerce Wholesale or Trade Area with video. Plus a separate tutorial on how to Build a WooCommerce Wholesale Store with Hidden Categories for Each Customer. Use WooCommerce Product Table to add a table view of your wholesale products to a standard WordPress page. You can then password protect this page using the ‘Visibility’ settings at the top right of the Add/Edit Page screen, or use a membership plugin to create a unique login for each trade user. WooCommerce Product Table is better than all the other WooCommerce order form plugins on the market. 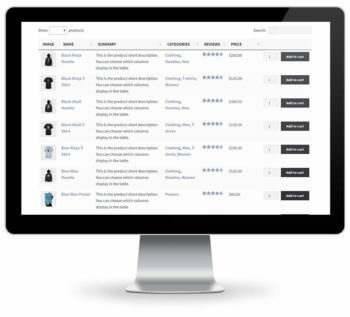 It lists your products in a flexible one-page order form with searching, sorting and filters. Your customers can buy products directly from the order form. WooCommerce websites with large numbers of products often provide a catalogue view listing all their products. This displays everything in one place without forcing customers to scroll through many different pages. Learn how to use the plugin to create a WooCommerce product catalogue or directory listings. Takeaway restaurants often display their entire menu on a single page. Customers can choose all the dishes they want to order for delivery. They can add everything from the cart without being taken to a separate page for each option. WooCommerce Product Table is perfect for an online food ordering system. It lists each item on the menu within an interactive table view. To get your customers’ mouths watering, you can make the table more visual by displaying an image of each dish. 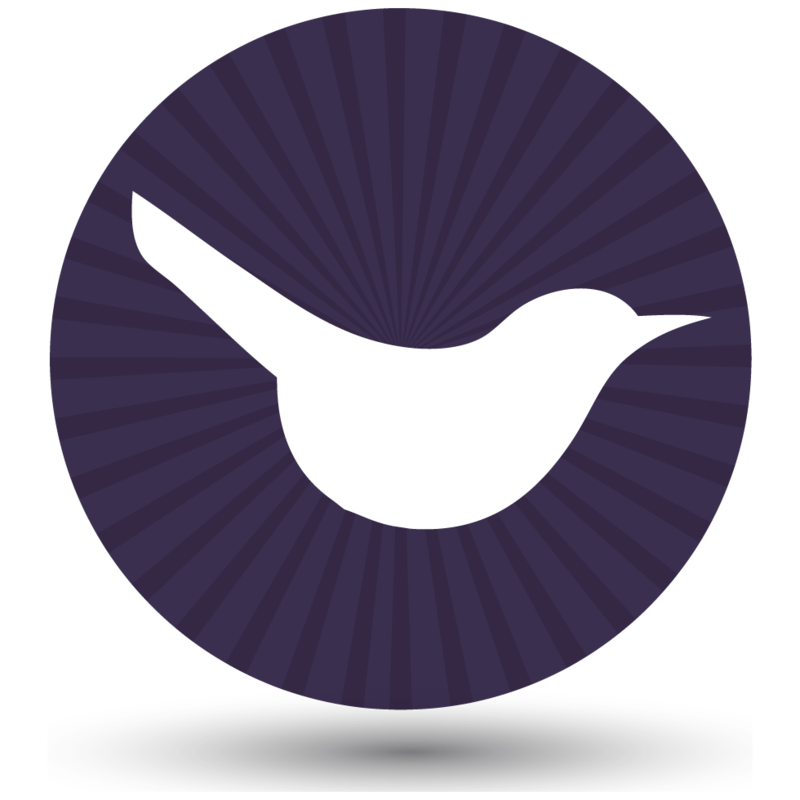 WooCommerce Product Table supports images, image galleries and embedded audio and video. Customers can view small or large product images, watch video and listen to audio/music directly from the product table view. It’s an ideal way for photographers to display their image for sale. You can also use WooCommerce Product Table to list multiple items which customers can select in order to create a custom product bundle unique to them. This is perfect for ‘build a box’ type websites, such as build-a-hamper or to customize a meat or vegetable box for home delivery. Where can I get the plugin? You can buy WooCommerce Product Table on our website. And if you like it, sign up as an affiliate and we’ll reward you with 30% from all your referrals!